Trips to public gardens can be super relaxing and a truly multisensory experience. Walking around garden paths with no agenda other than to enjoy the sights, smells, and sounds that surround us is a quiet luxury to enjoy during warm weather months. Your family will discover new flowers, maybe see some new bugs, butterflies, and birds. We have lots of options in and around Northeast Wisconsin to visit and see new things! Wear comfortable shoes and consider bringing along a stroller or wagon for younger kids with legs that tire easily. Remind your little ones that the flowers that they see are for smelling and looking, not for picking. Don’t forget to have space on your camera or phone to capture sweet moments in a beautiful setting! Consider packing along a sketchbook and supplies. Even tiny family members might delight in drawing their favorites! Check out websites to find out rules about snacks or picnics. Here are a list of gardens in Northeast Wisconsin to enjoy with your family! The Scheig Center was constructed in 1998 with a design based on the Wisconsin-born architect, Frank Lloyd Wright, by Taliesin Architects and is available to rent. Enjoy 5 acres of gardens, trails, ponds, and other green spaces. Appleton Memorial Park Gardens feature many gardens including a native rose garden, serenity butterfly garden, native wildflower garden, fragrance garden and Veterans memorial garden. Benches placed throughout the grounds encourage visitors to sit and enjoy the colors, textures, varieties, and fragrances of the plantings. Most of the plants featured are native to Wisconsin. Wisconsin’s largest butterfly house and maze. Visitors will also enjoy a quiet walk among native plants and animals in a nearly 2-acre maze designed in the form of a monarch butterfly. You can observe the entire maze from a viewing bridge. Feed butterflies with an up close and personal experience in the Butterfly house. Hours: Wednesday to Saturday: 10 am 3 pm. Green Bay Botanical Garden opened in 1996 and features 47 bountiful acres of display gardens and natural areas. The organization enriches the region by providing year-round educational and recreational opportunities within an environment that engages, inspires and refreshes. Hours vary. Open Daily, generally from 9 am – 5 pm. More info here. The Paine estate features twenty garden areas for public enjoyment and education. In concert with the historic architecture, the garden designs create outdoor “rooms” showcasing a wide variety of plants. Like the Paine mansion’s rooms and galleries, the gardens are designed to create a variety of intimate and grand settings. Set against the backdrop of the mansion, the gardens showcase perennials that are especially hardy in Wisconsin’s climate as well as trees, shrubs and wildflowers native to the state. Displays of annuals and bulbs change each year and present new varieties and unusual combinations to inspire every level of garden enthusiast. On Wednesdays, the Paine offers $5 admission for seniors (ages 65 and above) and for students (with valid I.D.). As a Blue Star Museum, the Paine offers free admission Memorial Day through Labor Day for those currently serving in the United States Military – Army, Navy, Air Force, Marine Corps, Coast Guard, Active Duty and Reservists, National Guardsman (regardless of status), U.S. Public Health Commissioned Corps, NOAA Commissioned Corps – and up to five family members. Qualified members must show a Geneva Convention common access card, DD Form 1173 ID card or a DD Form 1173-1 ID card for entrance. Take a little pit stop on your way home from Madison. Best time to visit is June. The garden is open every day to the public with no charge but donations are welcome to help maintain the garden. Weather permitting, the peonies bloom from mid-May through June. In early June, the Rosendale Historical Society celebrates “Peony Sunday” when they welcome visitors to enjoy the beauty and fragrance of the flowers, to have a lunch and especially to enjoy many fabulous homemade desserts. A 42-acre site with native prairie grasses, wildflowers, trees & shrubs, plus environmental classes. 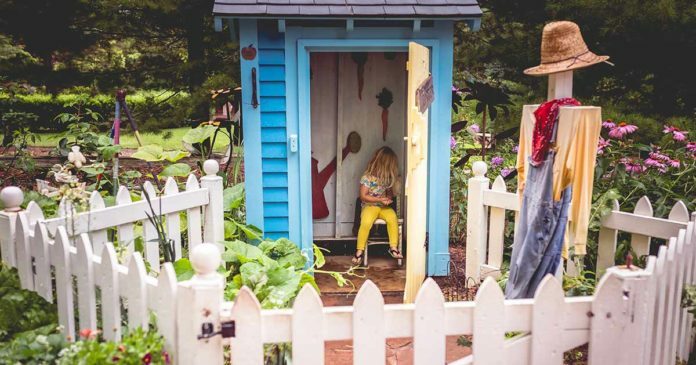 Bookworm Gardens is a botanic garden inspired by children’s literature. Download a book list on their website. Stroll through 16 acres of outdoor display gardens and an indoor, tropical conservatory at Olbrich Botanical Gardens. In the outdoor gardens, visit the Thai Pavilion and Garden. Olbrich’s Thai Pavilion is the only one in the continental United States and the only one outside of Thailand surrounded by a garden. Stop and smell the roses in the Rose Garden, opened to the public in 2005. Olbrich’s rose garden features innovative mixed borders of Midwest hardy shrub roses and perennials. Also stroll through other specialty gardens such as the Perennial Garden, Sunken Garden, and Herb Garden. Olbrich’s outdoor gardens are open daily, year-round. The Bolz Conservatory, a sunny 50-foot-high glass pyramid, houses a diverse collection of tropical plants, a rushing waterfall, free-flying birds, and blooming orchids. See the plants on which some very common foods grow, such as banana, coffee, and vanilla. Get an up close and personal look at carnivorous plants as well! Temperatures in the Conservatory range from 65 degrees to 95 degrees Fahrenheit year-round, making this a truly tropical escape. The Bolz Conservatory is also home to Olbrich’s Blooming Butterflies – an annual event from mid-July through mid-August. Free-flying butterflies emerge from chrysalises daily and fly around the Conservatory. Admission is free to all on Wednesday and Saturday mornings from 10 am to 12 pm, except during Olbrich’s Blooming Butterflies. 29-acre park with themed areas such as a meditation garden, extensive trails & a treehouse. Experience a desert oasis, a tropical jungle and special floral gardens and an amazing lighting display in the evening! The incredible diversity of plantlife you will encounter reminds us all of the Earth’s unique diversity of plant and animal species so very vital to our own survival. Stroll the jungle-like trails of the Tropical Dome and see a rich diversity of plants from the rainforests of five continents. Showy flowers, fruits, nuts, spices and a multitude of orchids and bromeliads surround you as you’re drawn toward a rushing waterfall in this paradise. Be sure to look for the colorful birds that call the Tropical Dome their home. Enter a themed floral exhibit filling the Floral Show Dome with gardens of color. Five seasonal displays each year will delight you with their beauty and will serve to inspire your own gardens.